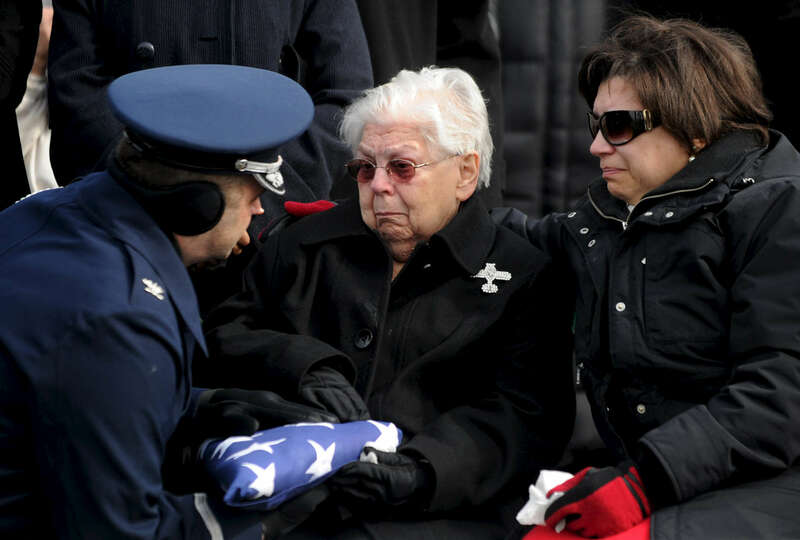 Mildred "Millie" Dart is presented the flag by Col. John Russo of the United States Air Force's 109th Airlift Wing Honor Guard during the military funeral honors for her husband, Lt. Col. Clarence Dart, at the Greenridge Cemetery in Saratoga Springs, Tuesday, February 21, 2012. Lt. Col. Dart, a former Tuskegee Airman who flew nearly 100 missions and was twice shot down by the enemy in World War II, was also the father of nine children. He died last Friday. He was 91.